Amulet of the Ansei is found on the first undead blade in Sancre Tor on the Blood Of The Divines quest. 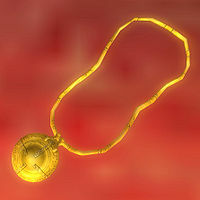 In appearance, it is identical to a gold amulet. This page was last modified on 29 November 2018, at 16:24.